The Samsung Galaxy S9 will give you a better camera and the LG G7 will give you better audio and they'll both give you a headphone jack and wireless charging, among other things. But, when my family and friends inevitably ask me over the holidays what phone I can recommend, one of the first phones out of my mouth will definitely still be the OnePlus 6T. A big part of that is because in my opinion, it ships with the best version of Android you can get. Notice I didn't just say newest. I mean, you can find the newest version of Android on the Google Pixel Three, but thanks to some questionable decisions Google made with regard to the user interface, it's, at times, a confusing mess. Now, for $250 less than the Pixel Three, you get the same version of Android, but with an interface that you can customize right out of the box. So, it feels right for you. The OnePlus 6T is also the only phone I've used, with the possible exception of the Razer Phone Two, that feels faster than the Pixel. Normally, I reference the Trek, but let's go Wars on this one. If this were a rebel Star Fighter, it'd be an A-Wing. In the past, I've ragged on OnePlus for dumping ridiculous specs into a phone just to impress the fanboys. The 6T uses those specs smartly. Over time, the phone learns which apps you use most often and it uses those gobs of random access memory to keep some of those apps preloaded. Now, what I found over the past few weeks is that I don't need to wait as long for some of those apps to open and the ones that do have to reload, well, they do it really fast and it's likely to be updated more often than the older Samsung and certainly the LG. OnePlus has promised two years of Android updates for all phones going forward and based on what I'm seeing from my devices, and on various forums, it's doing a better job than most companies in this regard. Now, if updates are your top priority, well, Google still gives you three years of them with the Pixel line and Apple goes even longer with the iPhone. So, OnePlus is not in first place here. If you've watched my videos for a bit, you know I'm a huge fan of wireless charging. So, I consider any phone with a glass back, but no wireless charging to be a big letdown. That said, it's easier to forgive when you rarely need to charge the thing. Even after weeks of use, it's a rare thing for me to get the 6T below 50% before bedtime and I'm talkin' 14 to 16 hours days. One of 'em was really heavy. I had several video calls for work and also a five hour voice call over WiFi catching up with an old high school friend. The end of that day, I still had more than 20% left. And when you consider the fast charger included in the box alongside a complementary case, you're getting a lot more value than, for example, Apple, with its slow charger in the box and nothing else. Now, let's switch gears to talk about the big stumble. No, not the headphone jack. I already talked about that in the first video. I'm talking about the in-display fingerprint sensor. I loved it when I first fired it up and its futuristic appeal in undeniable. But, look, it's hard to praise something that just doesn't work a lot of the time. If your fingers are wet or they're cold or they're shriveled from being wet or you're trying to scan it at an odd angle or it's just in a mood, it's almost guaranteed to fail. Now, it probably works four times out of five and, yeah, sure, you might say that's great, but the more traditional design on the OnePlus Six was a 19 times out of 20 success rate for me. So, this is a miss and, for me, it's the most disappointing part of the phone. Now, that bodes well for the camera, normally the low point when we're talking mid range phones. But before I share those samples with you, I'd like you to meet a sponsor I'm very excited to welcome aboard. Folks, MrMobile has always been a nautical kind of guy. So, when World of Warships offered to sponsor this video, I had already been playing it for months. World of Warships is a free to play strategy action game that puts you behind the wheel and the guns of some of the most iconic war vessels in history where you can square off against seven million players around the world. You do battle in smooth to stormy to snowy seas with over 200 authentic ship designs from 11 different nations. And if that's not enough to get your propeller spinning, the explosions are pretty cool, too. (exploding) If you're a new player, hit the link below to play World of Warships and make sure you use code PLAYWARSHIPS2018. You'll get one port slot, three days of Premium time, 250 Dubloons, and a million credits, plus, one of the most famous ships of World War Two. (alarm blaring) So, get to your action stations. Go to the link in the description below and stay afloat, my friends. Okay, camera. 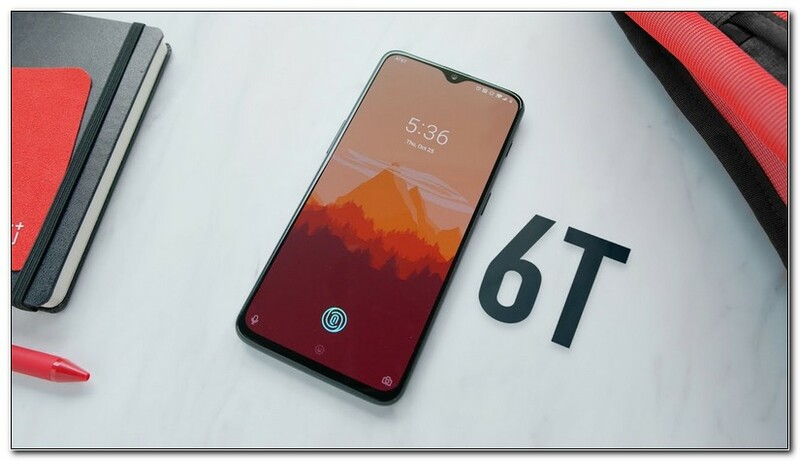 The 6T's output is not all that different from the OnePlus Six, which is a good thing. I took the OnePlus Six out to the desert on a vacation earlier this year and as you'll see if you go back and watch that review, it really impressed me. The focus hunting problem I called out in that video has been fixed, I'm happy to say. And, again, OnePlus leverages the full power of the components it's packed in here. You can shoot at up to 60 frames a second in 4K mode and up to 480 FPS if you step down to HD in slow motion. And, you've got the new night mode for still shots if you really need to pour the light on. For what it's worth, though, most of the time I left that night mode off and I got a lot of great photos, like these. Going back and realizing I shot them with the OnePlus, I mean, it's pretty impressive. It has its quirks. It likes to overexpose, which is something you see on a lot of phones. It also seems especially prone to lens flare. No, those are not UFOs in the sky over the Schraffts building. And if you're trying to photograph a kid or a dog or something else that wiggles a lot, you'll get a lot of blurry takes before you end up with a winner. Other than that, though, this camera is more than most folks will need. (upbeat music) I wanna close with a peek behind the curtain. I was planning on holding this video for a bit because I have other devices on my desk that have been waiting longer for reviews, but this one excites me. There's more I can complain about, the mushy vibration motor, the lack of a notification light, the poorly placed speaker, but, well, let's use a car analogy. If this were an automobile, those would be the heated steering wheel and the extra cup holders in the back seat. They're options. And, if you ask me, they're worth giving up when you're paying $200 less than the nearest new iPhone, $250 less than the nearest new Pixel. The 6T is not the first geek phone that might matter to the mainstream, but now that it's available on two US carriers, it is the first one that might have a shot putting pressure on better known manufacturers to maybe think about knocking it off with the thousand dollar price tags. OnePlus owners new and old, sound off in the comments with your experience, good or bad. And, feel free to fill in the gaps that I left open in this review. Do be sure to hit that OnePlus 6T hands on video first, though. I touched on a lot of things there I left aside in this video and if you missed it, be sure you don't miss the next one. 0 Response to "OnePlus 6T Review: The Cure For The $1000 Smartphone"